Nick Conover is the CEO of a major corporation, a widower and single parent, he's struggling to insulate his ten-year-old daughter and angry sixteen-year-old son from the town's hostility. When his family is threatened by a nameless stalker, Nick is faced with a dead body and damning circumstances. To protect his family, he must cover up this murder. Now Audrey Rhimes, a police investigator with an agenda of her own, is determined to connect Nick to the homicide. Nick, in the meantime, begins to unravel a web of intrigue within his own corporation, involving his closest colleagues, that threatens to gut the company and bring him down with it. With everything he spent his life working for hanging in the balance, Nick Conover discovers that life at the top is just one small step away from a long plunge to the bottom. Recently Nick Conover was the one, as the CEO of the Stratton Corporation, who instigated 5,000 layoffs, to keep the company afloat. So now he is known in the local media as "Slasher" and people turn away as he approaches them. Last year his wife was killed in a late night motor car accident on an icy road. And now he has a stalker breaking into his house and leaving cryptic messages daubed on the walls. Nick and his family live in a mansion in a gated community but it doesn't stop the stalker. Over the past year he has had calls from the alarm company or the police. But the police aren't in a hurry to track the stalker down. The latest incident is the death of their family dog, and now Nick is seriously worried. Nick gets his company security director Rinaldi to install a better security system and also accepts a gun from him. Soon after the new system is installed, the stalker comes back, and approaches the house. Nick shoots him in a panic, and Rinaldi disposes of the body. Nick then lives in fear that the body will be found and he will be exposed as a murderer. The story makes an arresting start but a dead body isn't Nick's only problem. 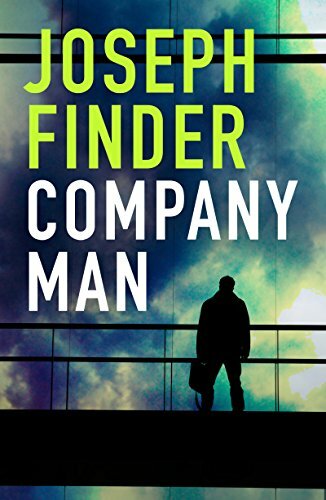 The Stratton Corporation isn't going well, he gets to the point where he doesn't know who to trust, there are problems at school with his 16 year old son, and then the body is found. An excellent read. Highly recommended. December, 1911. All of India is in a tizzy. A vast tent city has sprung up outside the old walled enclave of Mughal Delhi, where the British are hosting a grand Durbar to celebrate the coronation of the new King, George V. From across India, all the Maharajas and Nawabs have gathered at the Viceroy of India's command to pay homage and swear loyalty to the King Emperor, the first monarch of England to travel out to India personally. Maharaja Sikander Singh of Rajpore is growing increasingly bored, cooling his heels at the Majestic Hotel as he awaits George V's arrival. Just as his frustration is about to peak, a pair of British officers shoulders in. They insist that he accompany them to the British Encampment. Irked, but his curiosity piqued, Sikander agrees. To his surprise, they take him to the King Emperor's quarters where Sikander's old school friend, Malik Umar Hayat Khan, the Durbar herald, awaits. Malik Umar is serving Lord Hardinge, the Viceroy and the highest-ranked Englishman in the country. Lord Hardinge, overruling several subordinates, tells Sikander that his services as a sleuth are needed by King and country. Sworn to secrecy, Sikander is ushered into George V's personal chambers. And there he finds the cause for his extraordinary summons - an exquisite nautch-girl, hanged until dead. Employing techniques he has learned from studying Eugene Vidocq and Sherlock Holmes, Sikander examines the scene and demonstrates the girl was not a suicide, but murdered. Her death at the very heart of the encampment could ruin the enormously costly celebration and spark deep political repercussions in India and in England. Under this pressure, the Viceroy hands Sikander both the case to solve and a ticking clock - he must complete his investigation before George V arrives. And under the surveillance of one Captain Campbell of an elite British regiment. The list of suspects and motives is too large, the number of hours for the task too few. But he gave his word and so the Maharaja must put his skills to work. In the end, Sikander wishes he had not. King George V, Emperor of India, is about to arrive in Delhi for his very public coronation. The who's who of Indian society, Maharajahs and princes, and members of the British Raj, have arrived in their thousands. The Maharajahs and princes have set up pavilions and courts, all designed to show how rich and influential they are. And in the middle of it all, in the King's own pavilion, an Indian dancer is found murdered. The King is due to arrive within 48 hours and Sikander Singh, Maharajah of Rajpore, who would much rather be a detective than a Maharajah, is asked by the Viceroy, to solve the mystery. 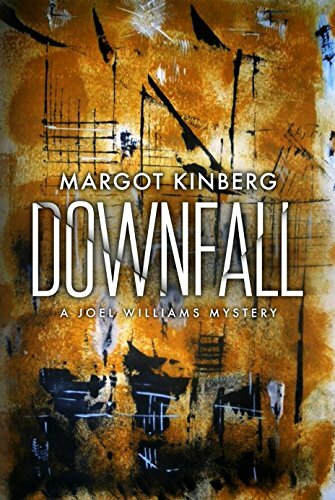 Blending fictitious with actual characters, the author presents us with a panoply of suspects, and authentic historical detail on a grand scale. I was impressed above all by the amount of research that must have gone into the writing of this book. The overall effect is sumptuous beyond measure. If historical India is your "thing", then you will enjoy this. Arjun Raj Gaind is one of India's best known comic book writers. He is the creator and author of the critically acclaimed, best-selling graphic novels, Empire of Blood, Reincarnation Man, The Mighty Yeti, Project: Kalki, Blade of the Warrior: Kshatriya, and A Brief History of Death. 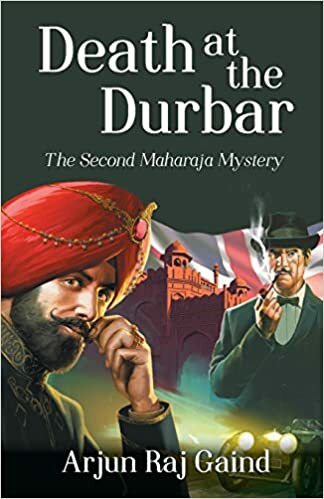 A Very Pukka Murder was his debut novel, the first in a trilogy featuring the adventures of Maharaja Sikander Singh, set against the backdrop of princely India during the heyday of the British Raj. This story begins as a mistake anybody could make at an airport security line. When Michael Tanner opens up what he thinks is his MacBook at home and discovers it isn't his, he also discovers that the owner uses their name to login and has left their password conveniently on the bottom of the computer on a post-it note. He uses the password to log in to the laptop and that is when he discovers it contains sensitive material, and becomes aware of who it belongs to. The Senator to whom the MacBook belongs rings her chief of staff in a panic, but does not admit she has left the password so conveniently on the laptop. However chief of staff, Will Abbott, agrees to take the laptop she has brought back and to find out who it belongs to. Will manages to find someone to break into Michael's laptop and to work out how to contact him. However when Will rings Michael Tanner he doesn't say he is ringing on behalf of the senator and Michael becomes suspicious and says he doesn't have the laptop. That triggers off a chain of reactions with at least two groups of people trying to get hold of the senator's laptop. The story raises some moral questions too. What should Michael have done when he first discovered who owned the laptop he brought home by mistake? The consequences are dire for both Michael Tanner and all those involved. The creation of Atlanta's first black police force in 1947 comes about as a result of a promise the Mayor made to the African-American population in return for their votes in the mayoral elections. It is certainly not welcomed by the white police force who on the whole are determined that it will fail. The black population is not sure that it wants the black police force either. Some of the members of the new police force were soldiers during World War II, while others never left the USA. Throughout the novel they are constantly assessing whether they have made the right decision in becoming a policeman. The role is very challenging, the are meant mainly to just patrol the streets. If they need to arrest anyone they have to call a white patrol car or wagon to transport the person being arrested. The background is held together by a story that links both white and black officers - that of a black girl who recently came to Atlanta from the country for work, and is then found dead. Two black officers had seen her alive and in the company of a middle-aged white man. Although they are not supposed to investigate crimes they try to find out who killed the girl, but each step they take seems to make things worse for her family. Very interesting, with an authentic historical feel. 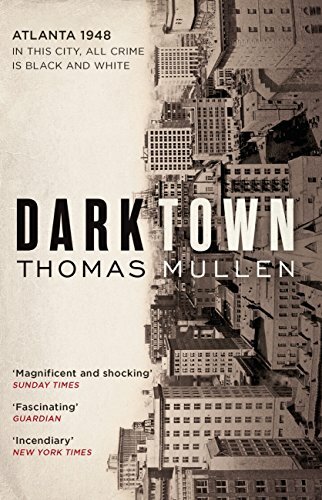 Thomas Mullen is the author of Darktown, an NPR Best Book of the Year, which has been shortlisted for the Los Angeles Times Book Prize, the Southern Book Prize, the Indies Choice Book Award, and has been nominated for two CWA Dagger Awards; The Last Town on Earth, which was named Best Debut Novel of 2006 by USA Today and was awarded the James Fenimore Cooper Prize for excellence in historical fiction; The Many Deaths of the Firefly Brothers; and The Revisionists. His next novel, Lightning Men, which follows the characters from Darktown two years later, will be published in September 2017. Ten and a Quarter New Tales of Murder and Mayhem. Previously uncollected and unpublished: new short stories from a master of psychological suspense. Introduction from Sophie Hannah. No two of Ruth Rendell's short stories are ever alike, although in some cases one or two became the basis of a later novel. She was obviously fascinated by links with history and elements of the supernatural. Each of the short stories is polished and they are mostly under 20 pages. There are 3 ghost stories in this collection, although one is only a matter of lines long. Most have an unexpected twist. The introduction by Sophie Hannah raises some interesting points. 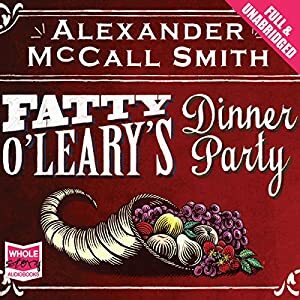 When his loving wife, Betty, plans a trip to Ireland for Fatty O'Leary's 40th birthday things go wrong almost immediately: the seats in economy class on the plane are too small; Irish bathroom furniture is not as commodious as he'd have liked. And all the time Fatty must put up with the unthinking cruelty of strangers. Like many generously built people Fatty O'Leary is a most forgiving man. He has very few malicious bones in his body and he quickly forgets indignities once they have been surmounted, most of the time. His trip of a lifetime quickly turns into a nightmare, and indeed progresses from one nightmare to another, all caused mainly by his generous proportions, but Fatty, an antiques dealer from Arkansas, soars above it all. His wife Betty deserves a medal. This was a lovely entertaining read, not, I should point out, crime fiction. Steven Crossley does a wonderful job of the narration. 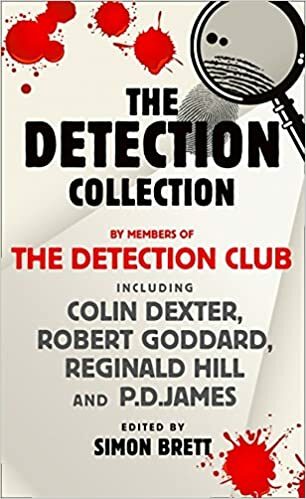 This volume of short stories by the cream of British crime writing talent celebrates 75 years of the quintessential Detection Club. Most of these short stories are quick reads, about 20 pages long, and among the authors are a number of bestsellers, as well as winners of both Diamond and Gold Daggers. The stories appear to have all been written for the occasion, and are previously un-published. Three men, three motives, one murder. Who will come out on top? No one ever said murder was easy. Paul Spencer has just about had it with Latimer's incompetence and wilful time-wasting. Spencer knows for a fact that he is the cog that keeps NeO-aD rolling, and wishes that Barraclough would take a stance and get Latimer out of the way. And Barraclough? He just wants to do his job without the constant bickering of his two insufferable colleagues. Filled with so many twists and turns that you won't be able to keep track, this underrated crime classic gem will keep you guessing until it s final conclusion. 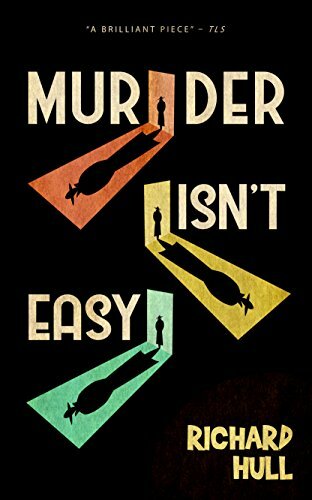 With a hilarious prose style and richly developed characters, Murder Isn't Easy is a gripping page turner that we think you would love. Unusually this novel is written from 4 points of view. Each of the partners in NeO-aD is convinced that he is the essence of the company, and the others are a waste of space, and even perhaps hampering the company from it's true development. Each considers that he could run the company without the others, with minimal help from the office staff. It has got to the stage where each person is considering how to get rid of the others. And so it becomes a case of murder, but who will murder who? And will they get away with it? The book is divided into four distinct sections and eventually the deed is done. But who actually committed the murder? It is up to police Inspector Hoopington of Scotland Yard to finally deduce what happened. He manages with considerable help from one of the office staff whom each of the partners under-rated. This is a bit of Golden Age crime fiction with a less than straight forward plot and some unusual plot twists. Richard Henry Sampson FCA, known by the pseudonym Richard Hull, was a British writer who became successful as a crime novelist with his first book in 1934. The chapters are alternately titled Then: Emma and Now: Jane and begin with Emma, recently the victim of a burglary, flat-hunting, and finally viewing a remarkably cheap house at One Folgate Street in Hendon. The owner is a famous architect and there is a rather complicated landlord-tenant agreement, involving a lengthy questionnaire, and interview, and then a list of conditions the tenant must agree to abide by. Jane, who follows Emma as the tenant, brings her own recent tragedy with her. She becomes very curious about what happened to Emma. In both cases the architect Edward Monkford, becomes part of their lives. Not only does he design minimalist living spaces but he tries to follow the same principles in his own life, and expect those he becomes involved with to do the same. Not only is the house at One Folgate Street itself amazing, behind it is constant technology that assesses how well the residents are doing. This book just keeps you reading, to solve the mysteries. The characters are well drawn and interesting. Rumpole and the Penge Bungalow Murders: It is the '50s, and two war heroes have been shot dead. Defending the suspect is deemed hopeless, so the case is handed to a novice. But the novice's superiors didn't count on the tenacity and wit of the young and hungry Horace Rumpole as he defends the accused alone and without a leader for the very first time. This two-part adaptation of the novel by John Mortimer also marks the beginning of Rumpole's lifelong liaison with Hilda ("She Who Must Be Obeyed"). Rumpole and the Family Pride: We rejoin Rumpole and Hilda in the late 1950s, when they have been married for a year or two. Hilda's cousin lives with her husband, the 17th Baron Sackbut, in Sackbut Castle on the Yorkshire Moors. Hilda and Rumpole are invited to the castle when a body is found in the grounds. Meanwhile, in London, Rumpole defends a tramp who has confessed to a triple murder. Rumpole and the Eternal Triangle: When Rumpole and Hilda attend a concert performed by The Casterini Trio, Rumpole is surprised to be approached by Elizabeth Casterini - the trio's beautiful violinist. But then, the trio's cellist, Tom Randall, is murdered. Elizabeth's husband is arrested, and Rumpole agrees to defend him at the Old Bailey. 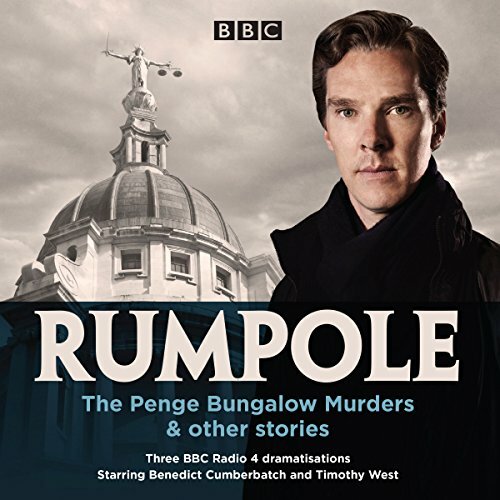 These radio plays capture the spirit of the Rumpole stories, with Timothy West and Benedict Cumberbatch blending beautifully as the older and young Rumpole. If you are looking for a good item to listen to during your commute then maybe this is it. All the references to Rumpole on this blog. 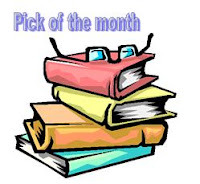 It is an invitation to you to write your own summary post for March 2018, identify your crime fiction best read of the month, and add your post's URL to the Mr Linky below.